Learn Tunisian Crochet Today with this Fast and Easy Photo Tutorial! 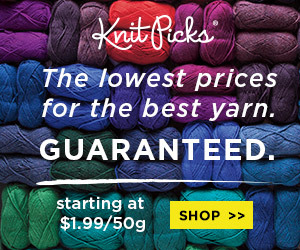 Home » Tutorials » Learn Tunisian Crochet Today with this Fast and Easy Photo Tutorial! If you’ve been wanting to learn Tunisian crochet this tutorial is for you! This unique style of crocheting with its rich, woven-like texture, lends itself to so many beautiful projects. It’s great for blankets and afghans. It’s also perfect for such housewares as potholders, dishcloths, washcloths and much more. It would also make for a cozy and warm scarf. If learning Tunisian crochet is somewhere on your to-do list, you’ll be able to cross it off quickly and have some fabulous, completed crochet items to show for it. This wonderful photo tutorial is free! It’s by designer Allison of Dream a Little Bigger. It’s a goldmine and it will have you up to speed in no time. You’ll learn the technique from a series of pictures that will guide you, stitch by stitch. You’ll find out all you need to know about where and how to purchase the special Tunisian crochet hook that’s required. 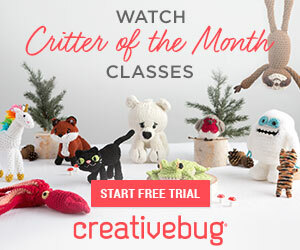 Now if you happen to prefer learning crochet techniques by video, you’re in luck. There’s an excellent YouTube tutorial that’s gotten plenty of “likes” and has proven very popular. You can watch it below! If you want to learn even more about Tunisian crochet, there’s a fantastic course at Craftsy that you may want to consider. It’s “Tunisian Crochet for Beginners.” Brittany of B.hooked Crochet — the famed crochet designer, teacher and podcast host — is the instructor. You can get all the details on this excellent online course by clicking here. It’s well worth the small investment to gain a firm foundation in this valuable crocheting technique! Thanks for reading. This post contains affiliate links which help keep Crochet Maze up and running! 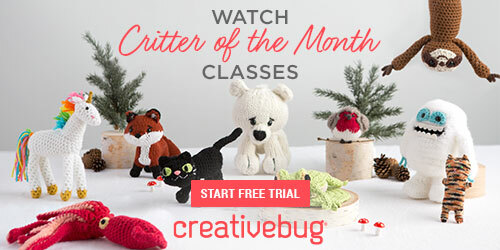 Are you on the lookout for more free tutorials on crocheting techniques and stitches? 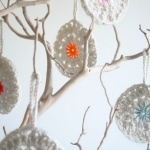 Check out some of our other favorite video and photo tutorials we’ve previously featured at Crochet Maze. Links are below! Learn the Crochet Tulip Stitch Today with this Easy Video Tutorial! Want to Learn the Crochet Picot Trellis Stitch? – This Free Video Tutorial Is for You! Join-as-You-Go Granny Squares – This Photo Tutorial Shows You How! If You’ve Been Wanting to Try Tunisian Crochet, this Tutorial Is for You! 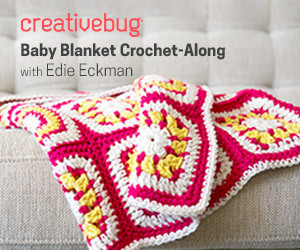 earn to Crochet the Granny Stripe Stitch with this Photo Tutorial! Learn to Crochet Granny Squares with this Fantastic Photo Tutorial! 12 Methods for Joining Granny Squares – These Tutorials Will Show You How!